Stamped concrete, exposed aggregate, or traditional broom finish; quality in workmanship and design is priority. All of our concrete is reinforced as needed or as required. Engineered steel frame structure second floor concrete deck. Chioces of arches, limestone accents, stairs, lighting, concrete color and pattern. 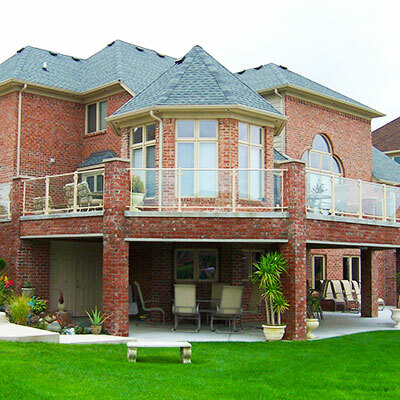 Capital Building Systems has been licensed in the state of Michigan since 1984. 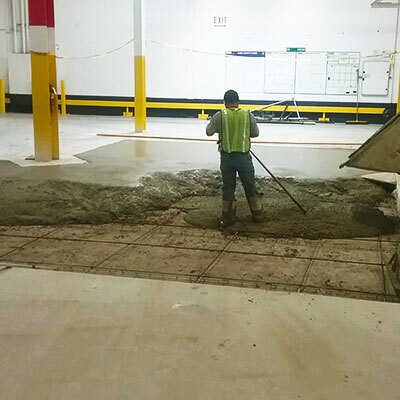 We have the experience and knowledge needed to complete your commercial concrete job to your complete satisfaction. We are Capital Building Systems. We can customize all concrete and we can develop your imagination into a reality. If you are in need of a patio, walkway, driveway, pool deck, etc., we can customize your home by impressing the surface of your concrete with stamps made from molds of the actual product being simulated. Many patterns and colors for stamped concrete are available. 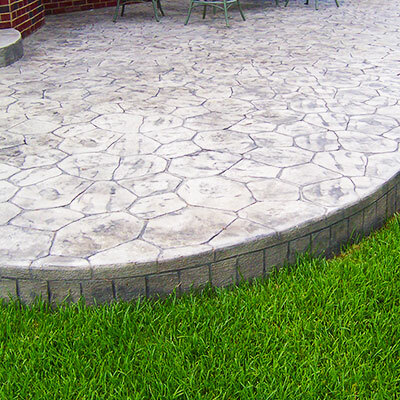 Our custom stamped concrete solutions will add value to and enhance the beauty of your home! We will work with any size job on any budget. Capital Building Systems did an excellent job constructing our concrete and brick deck. We were especially impressed with the quality of work, the close supervision of the owner and the clean-up once they had finished the job. My wife and I were very satisfied with the quality and excellent response that Vince Pollock and his crew provided. We would highly recommend his work to anyone needing creative cement work done. The crew was excellent – accommodating and courteous, a rarity today!